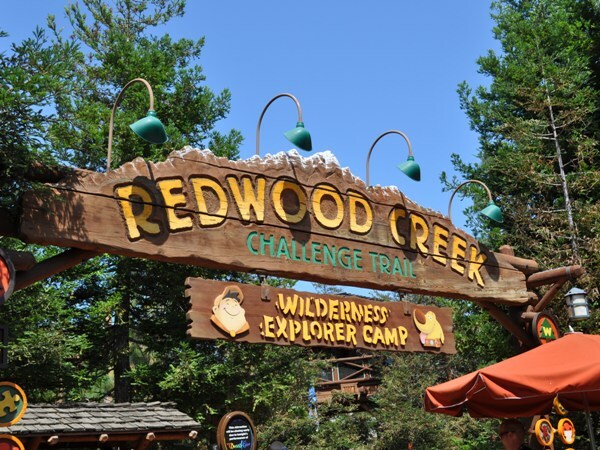 The Redwood Creek Challenge Trail at Disney California Adventure has some new visitors with Russell from “Up” starting a Wilderness Explorer Camp inside the trail. The bad news is that he made so much noise setting up the camp, that he chased away Koda and Kenai from Brother Bear (though you can still catch them for breakfast at Storytellers. Lox anyone?). Fellow Disneyland Correspondent Tony Spittell and I brought our respective Wilderness Explorers to the trail to check it out. 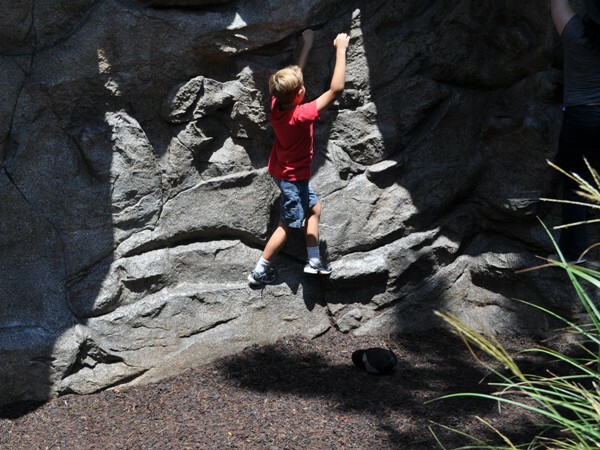 Read on to find out if they had what it takes to become Senior Wilderness Explorers. The first thing you’ll notice as you arrive is the new signs advertising the Wilderness Explorer Camp and encouraging young guests to earn their badges TODAY! 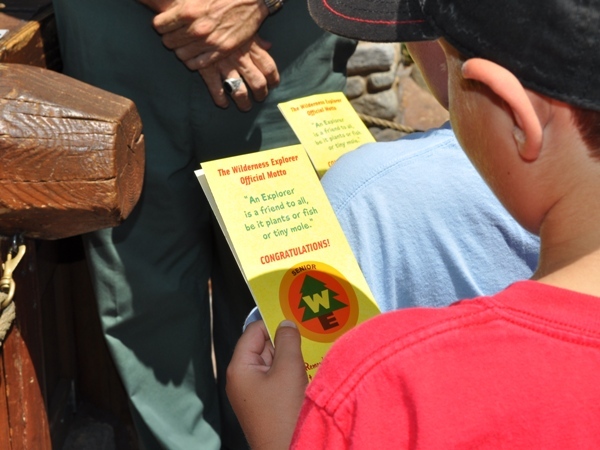 The Park Ranger at the entrance will gives each Wilderness Explorer a map of the trail, with the badge symbols covered like a lottery scratcher. 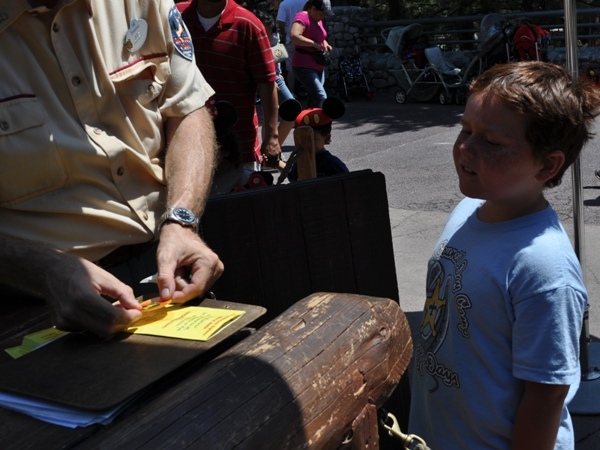 As they complete each challenge, Wilderness Explorers scratch off the silver circle to reveal their badge. The maps, however, are for young guests only…we tried to get one ourselves…purely for research purposes, of course…but were denied. 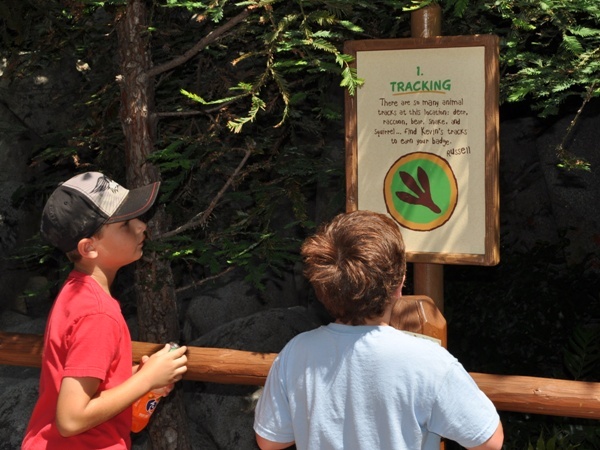 First stop is the badge for Tracking, where Wilderness Explorers have to find the footprint of the elusive Kevin. Our Wilderness Explorers had a little trouble with this one, thinking the tracks would be on the trail (in the cement). 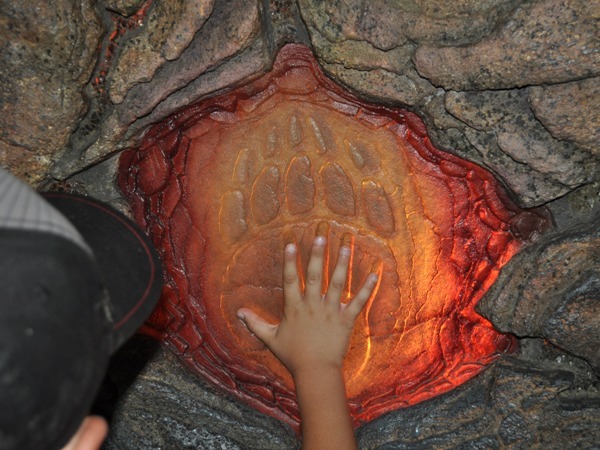 Kevin’s footprint is actually off the trail…but give your Wilderness Explorers a chance to find it first. 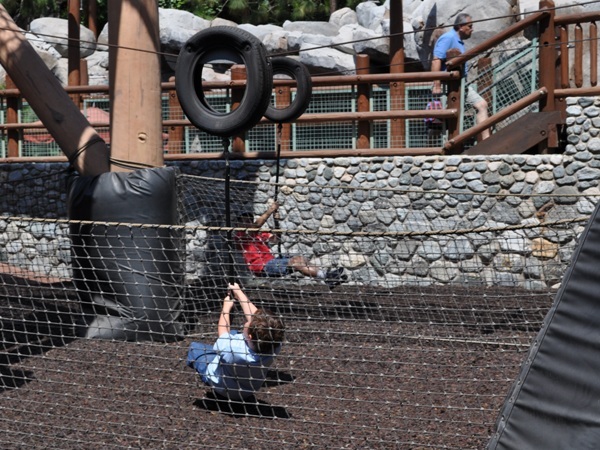 Next up, the Wilderness Explorers test their Bravery on the tire slide. 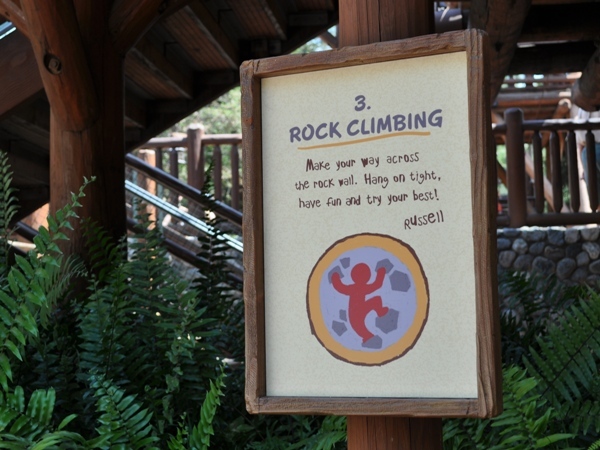 Be sure your Wilderness Explorers have closed-toed shoes if they want to earn this badge. No sandals or flip-flops allowed! 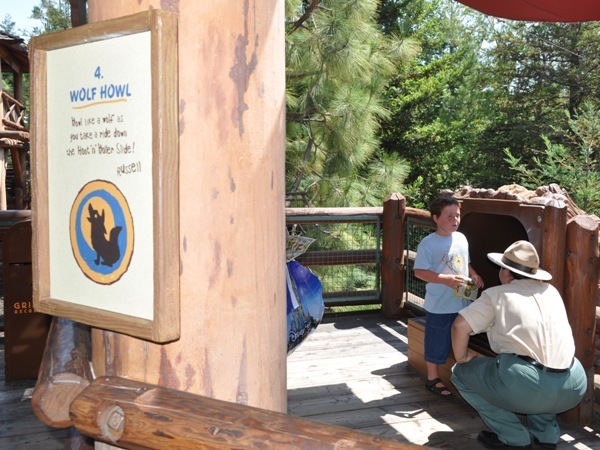 The Hoot ‘n’ Holler Slide gives the Wilderness Explorers a chance to practice their Wolf Howl. 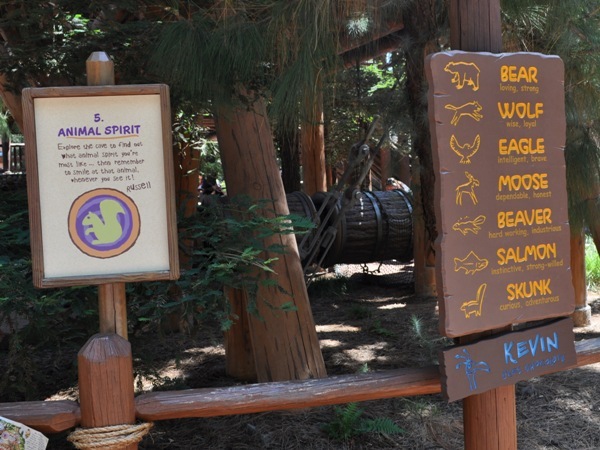 Kenai’s Spirit Cave (oops…gotta change that sign), lets the Wilderness Explorers discover their animal spirit. 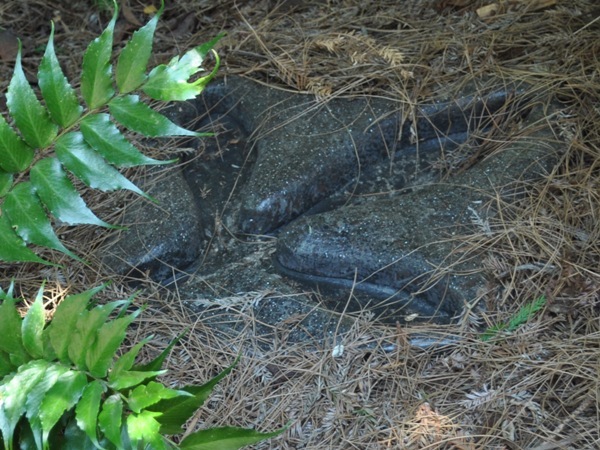 Of course, if they don’t think they’re a skunk, they can always try again. 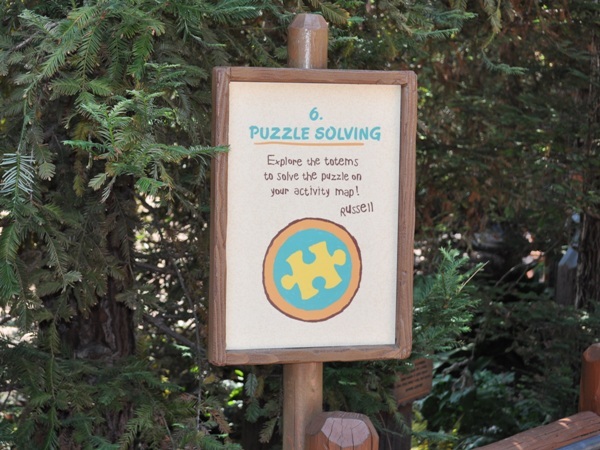 Last up is problem solving, where the Wilderness Explorers have to solve a puzzle in their activity map using several totems placed along the trail. 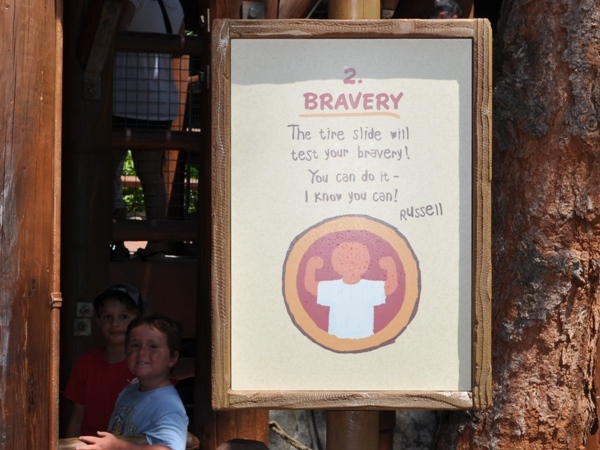 Younger Wilderness Explorers might need a grown-up’s help reading some of the totems. 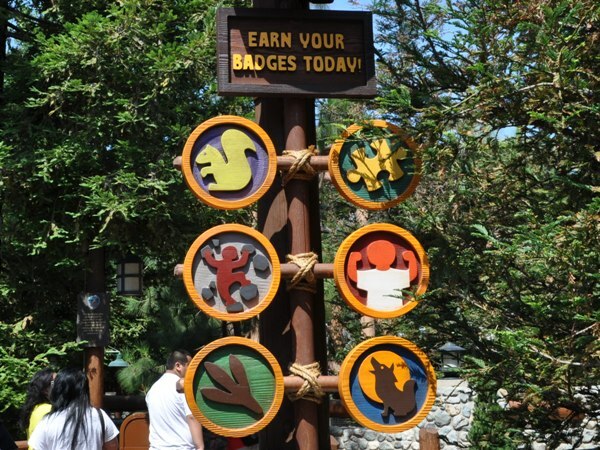 Now that all six badges are completed, the Wilderness Explorers can be promoted to Senior Wilderness Explorers. 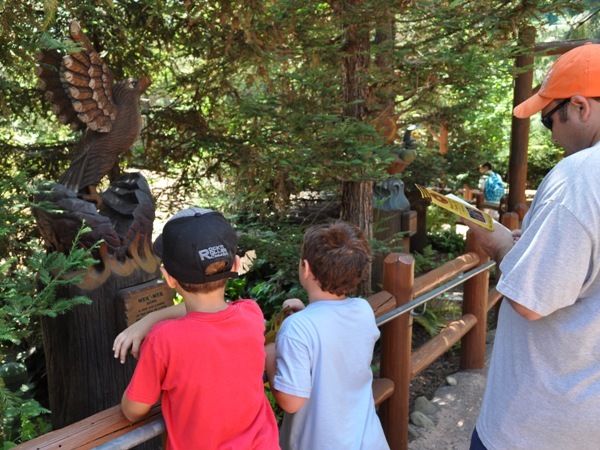 Several times a day, Russell will hold a ceremony in the Ahwahnee Camp Circle to award Senior Wilderness Explorer badges, however, if you miss that, the Park Ranger at the exit can also award your badge. 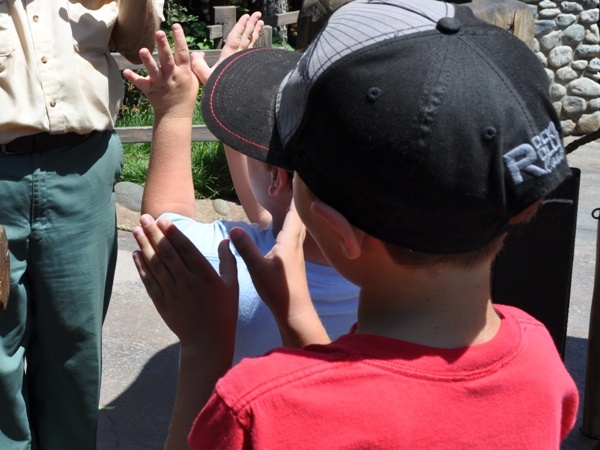 The Park Ranger even had the new Senior Wilderness Explorers repeat the official motto…. …and give the Wilderness Explorer sign. 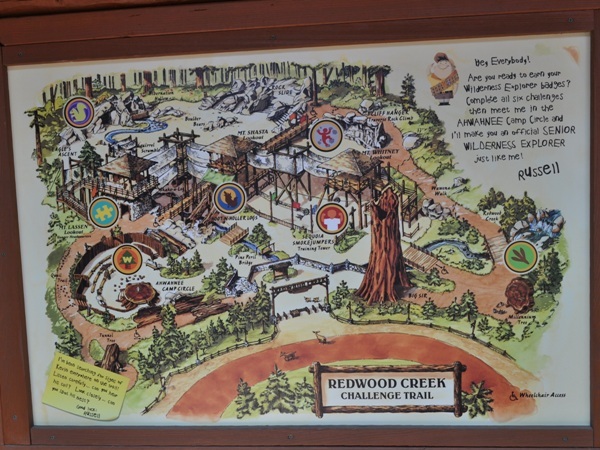 Our Senior Wilderness Explorers had a great time at camp earning their badges and although the Challenge Trail is something we do occasionally anyway, I think this simple overlay is a great fit and will encourage us to visit more often. 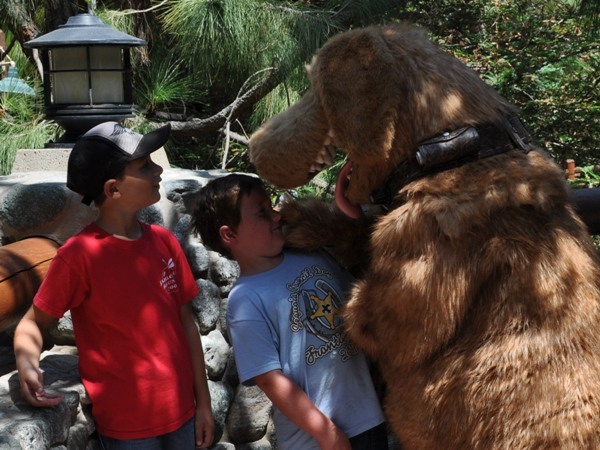 While we didn’t get a chance to meet Russell, the Senior Wilderness Explorers did get a special greeting from Dug.